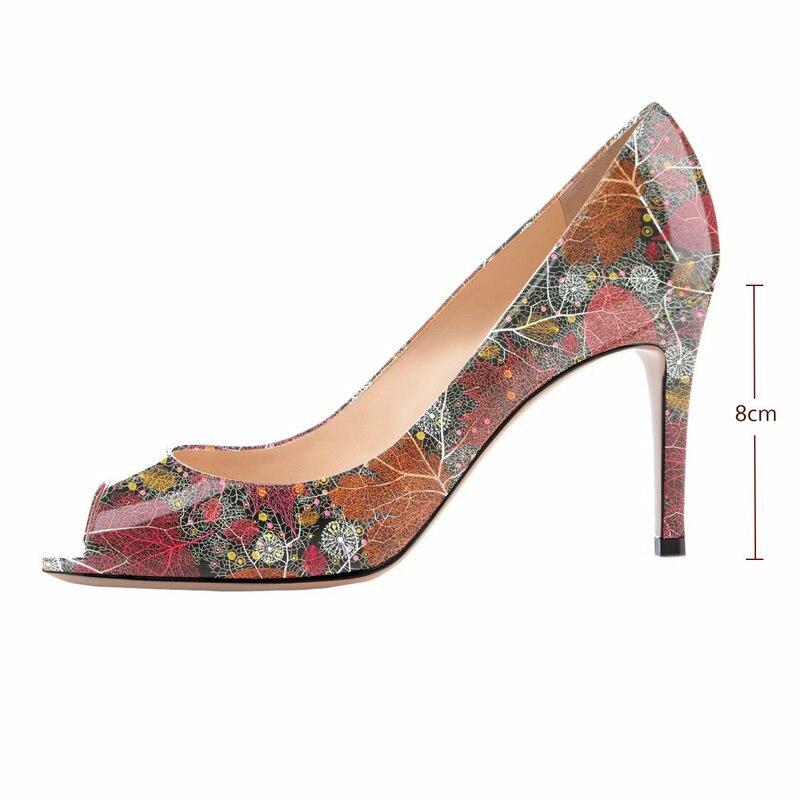 These classic peep toe pumps have a patent leather upper and a heel to add height and style to your everyday look. A must-have in every girl\u2019s closet! 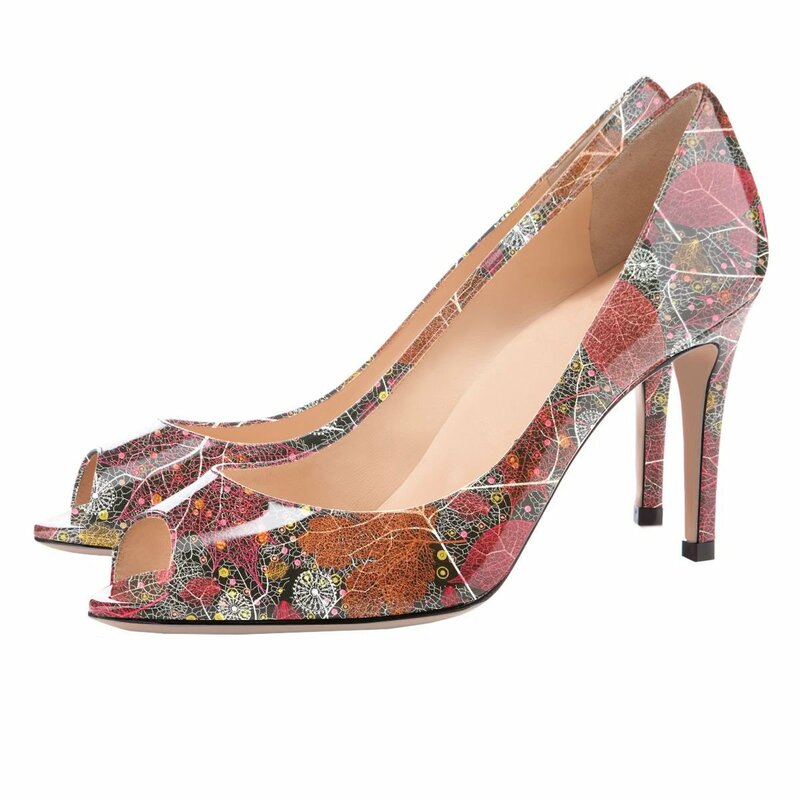 A high stiletto heel elongates your legs and makes this heel the perfect shoe for a glam occasion. 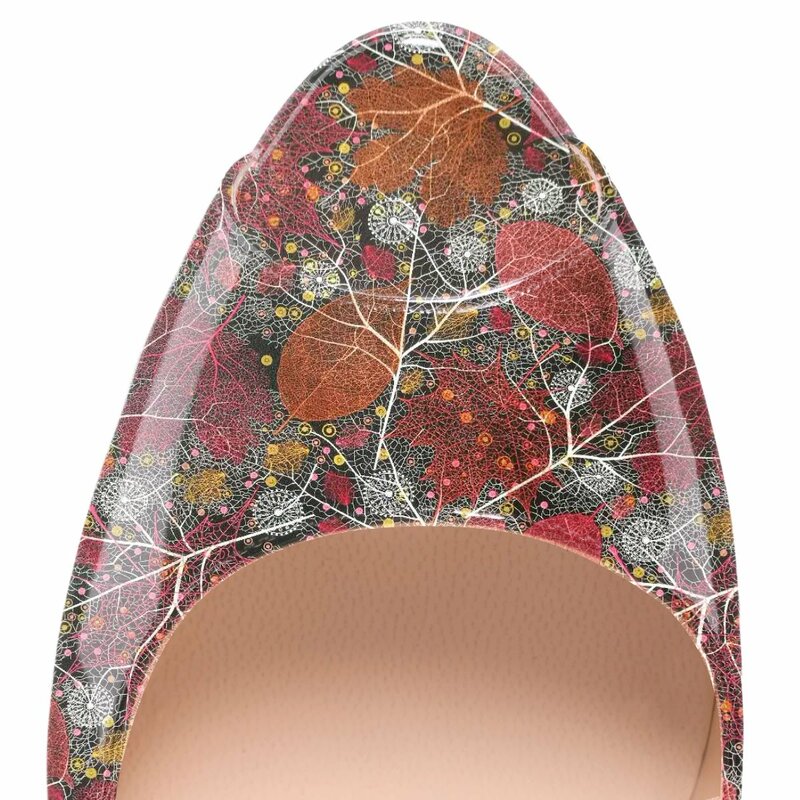 A cushioned sole gives this shoe a relaxed fit with a refined look! These heels will add glamour to your feet with its sleek design. 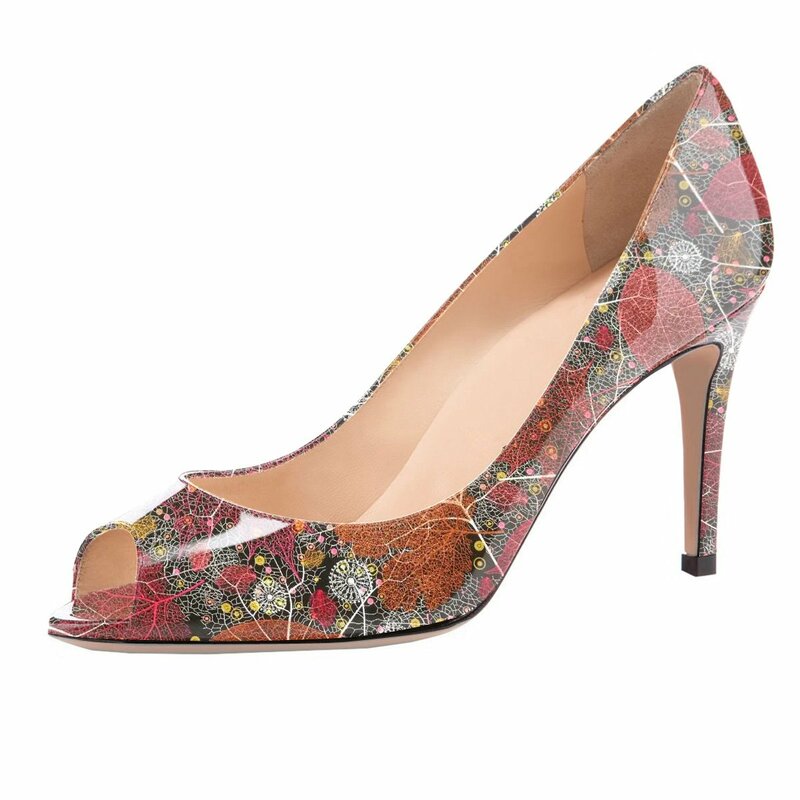 The style of these heels is your timeless classy look, perfect for wearing to the office or taking a stroll on a date.